Keystone Electronics Corp.'s new line of “Key-Pad” Dome Switches are out! 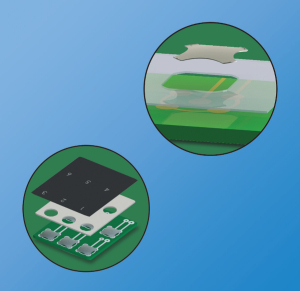 Keystone Electronics Corp. debuts a new line of snap action “Key-Pad” dome contacts specifically designed as a momentary contact for printed circuit boards, flex circuits, membrane switches and discrete switches. Equipped with a unique four-legged shape, these innovative dome switches offer enhanced durability, reliability and versatility while maintaining exceptional tactile feel for single or double-sided printed circuit boards, flex circuits, and membrane switch panels. Offered in Mini (.331” Dia), Compact (.394” Dia) and Maxi (.480” Dia) styles with trip forces from 7.8 oz. to 14.8 oz. Manufactured from Nickel-plated stainless steel, these domes are built for harsh environments such as Microwaves, Vending Machines or any application requiring substantial tactile response along with extensive actuation life. Supplied on tape and reel, they are ideal for use with most vacuum and mechanical pick-and-place assembly systems. 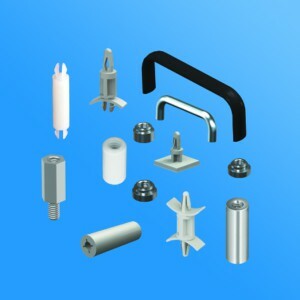 Domes are also supplied in convenient tubes for individual placement applications. Availability is from stock through Keystone’s global distribution network. Online ordering is accommodated. Adhesive backed spacer material for creating custom “Key-Pad” arrays is also available. 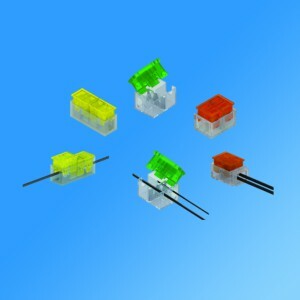 Spacer material is designed to provide the proper spacing between the circuit board, the dome and the device graphic layer. Made from clear polyester, the spacer material is supplied in sheets for customization and assembly/inspection ease. 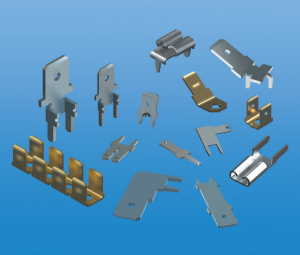 Keystone Electronics Corp. offers a comprehensive line of interconnect hardware and components, as well as stamping, machining and assembly services. For modifications and special designs, Keystone also offers applicationengineering assistance services. Australia. For more information, contact: Keystone Electronics Corp., 55 South Denton Ave., New Hyde Park, NY 11040; Tel: (800) 221-5510 or (516) 328-7500; Fax: (516) 328-1080; E-mail: kec@keyelco.com; website: www.keyelco.com. 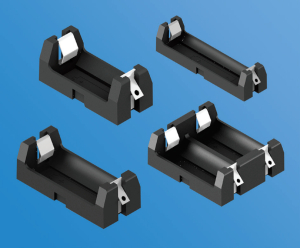 For more information send an inquiry directly to Keystone Electronics Corp.
Keystone adds new selection of high-performance Battery Holders with solder lug contacts for cylindrical batteries. 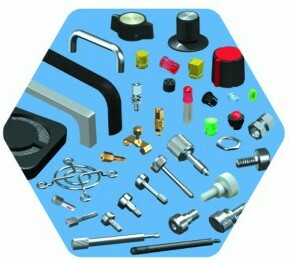 Keystone Electronics Corp. now provides UL recognized PCB quick-fit terminals and male rivet mount quick-fit terminals.